See the new page here at Pastel Workshop: Pastel Supplies. 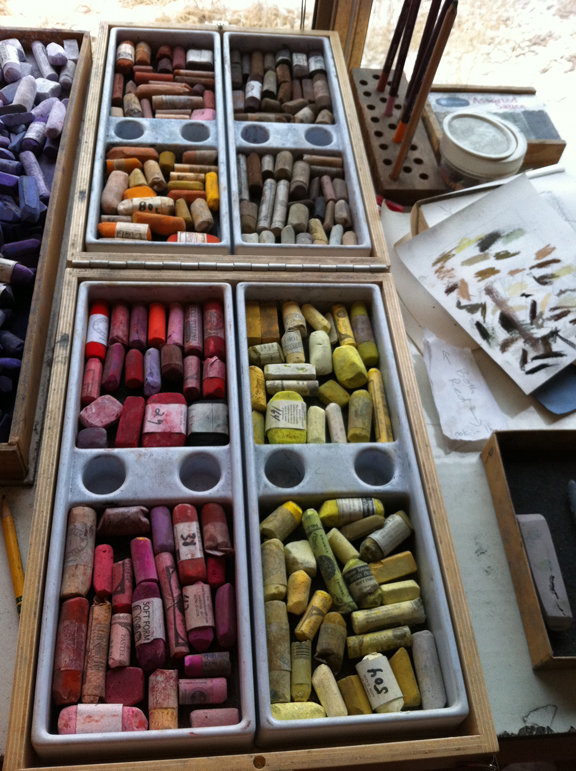 It provides a resource when you are researching or reviewing pastel materials, to include major brand soft pastels, paper, and miscellaneous materials. I will be updating this page as needed, and plan to list major catalog retailers next. Will do. Out of five pastel classes, I only got to three of them--out of town guests, teacher took a trip with her husband. Nevertheless, I enjoyed the medium and will pursue it on my own when I get home. It suits me better than water colors. --your Christmas card is lovely. Okay, Linda! Glad you have the bug for pastels - it is a very direct medium, huh? Hope your vacation is going well. Very streamlike and orderly, easy access. Thank you - it will come in handy for sure.